The street in front of the Masijd Noorul Hoda Mosque on Young Street in the Bronx was filled with people who came to show solidarity with the shooting victims at a New Zealand Mosque last week. This was gathering was a demonstration of support organized by MIC4Justice and the 49th Precinct Clergy Council. 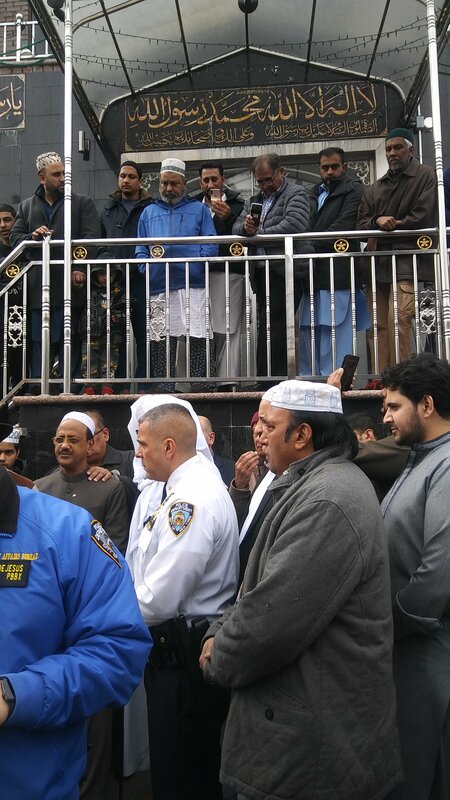 Imam Muddasar of the Masijd Noorul Hoda Mosque opened the event which had several speakers which included Bronx Deputy Chief Pintos, Assemblywoman Nathalia Fernandez, Pastor Jay Gooding President of the 49th Precinct Clergy Council, and many others who spoke in solidarity in light of the mass shooting that killed fifty innocent people attending worship services in Christchurch, New Zealand. “America is inclusive,” said Imam Abdus Shahib of Parkchester. “We stand with our Muslim brothers. You have our prayers, said Pastor Jay Gooding. Everybody has a right to live and pray, said Deputy Chief Pintos. He added that with the large Muslim population in the 49th Precinct, a police squad car is dedicated to cover the many mosques in the 49th Precinct. 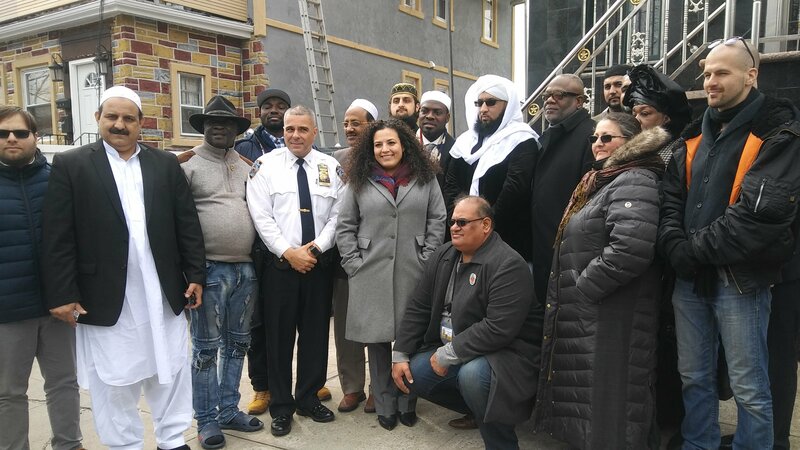 “I come out to show my support to the Muslim community, and applaud the low crime rate in the Muslim community,” said Assemblywoman Nathalia Fernandez. The Muslim community is peaceful, gentle, and hard working,” said local businessman Shabbir Gul. In closing it was said that the members of the Muslim community must be careful, watch out, and let the mosque or police know of any problems, no matter how small they may be.